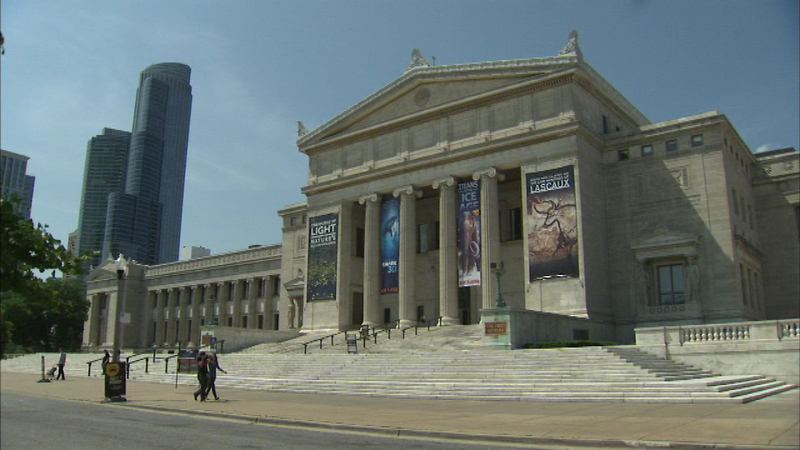 CHICAGO (WLS) -- Chicago students head back to school next week, but they can enjoy free trips to the city's museums before the big day. "Museum Days" begins Sunday, giving students free admission to a dozen different museums. The participating museums are: The Adler Planetarium, Art Institute of Chicago, Chicago History Museum, DuSable Museum of African American History, The Field Museum, Lincoln Park Zoo, Museum of Contemporary Art, Museum of Science and Industry, National Museum of Mexican Art, National Museum of Puerto Rican Arts & Culture, Peggy Notebaert Nature Museum and the Shedd Aquarium. Students just need to show their school ID or a copy of their spring 2017 report card. The museums will also grant free admission to one adult accompanying them, with some sites providing free entrance for the entire family. Museum days ends on September 2. CPS students begin class on September 5. This is the second year of the program. Last year, more than 3,500 individuals participated.